There are baklava, dessert and Turkish delight shops in Istanbul that are hundreds of years old. Most of these shops are located in Fatih (Old City), Beyoglu, and Kadikoy neighborhoods. While some of these shops operate a single shop, some others are spread all over Istanbul as chain shops. 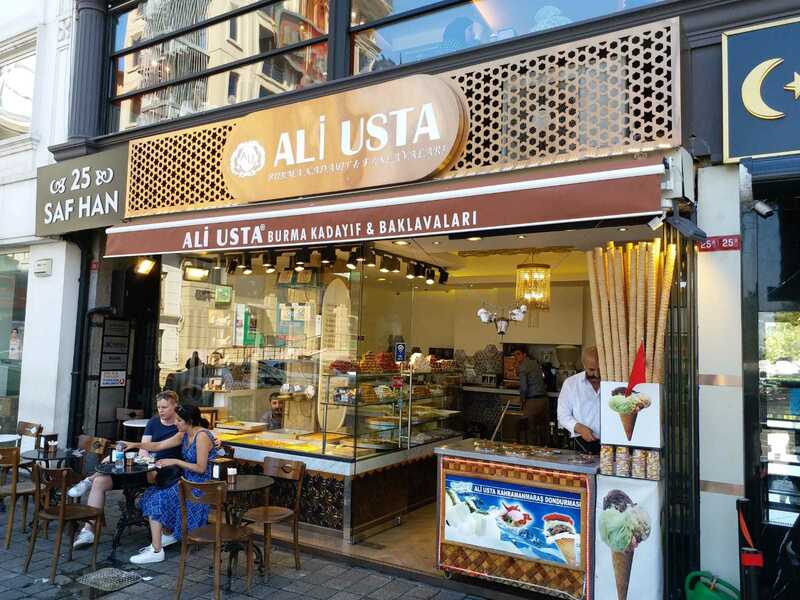 I’ve made a list of these nice shops, the best desserts to eat and their history at popular touristic spots like Sultanahmet, Eminonu, Sirkeci, Karakoy, and Taksim. You can also find boutique patisseries in addition to the traditional dessert shops in this list. 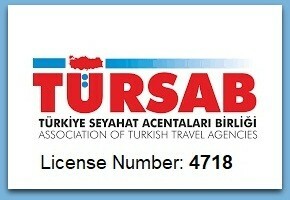 Let’s begin this post to help dessert lovers find the Best Places in istanbul to Eat Turkish Desserts. Gulluoglu is the first brand that comes to mind when it comes to baklava in Turkey. Gulluoglu has been managed by Gulluoglu Family from Gaziantep since the 1800s. 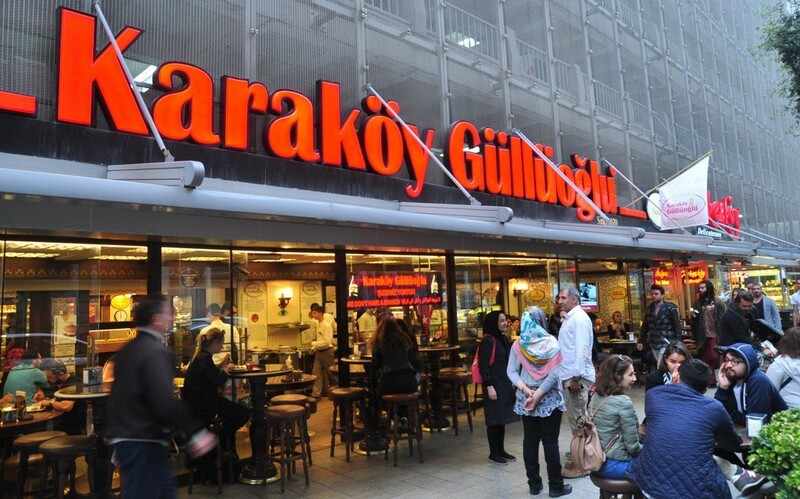 Naturally, Gulluoglu is one of the most famous dessert brands in Turkey. Gulloglu’s branch in Karakoy was opened in 1949 and you can find delicious desserts that are worthy of the family’s reputation. The peanut used in making baklava at Gulluoglu is from Gaziantep and the walnut is brought from Karahisar. Apart from traditional delicacies, different desserts such as chocolate baklava is also an option. Although Gulluoglu is famous for its baklava, other desserts at Gulluoglu are equally amazing. Especially, pastry desserts such as ekmek kadayifi (a bread pudding dessert), sobiyet baklava, and dolama (12-layer phyllo rolled into a wrap) are worth trying. No doubt, Gulluoglu is one of the best dessert shops in Istanbul with its baklava and other delicious desserts. It’s one of the rare brands that find a place both in local and foreign tourist guides. 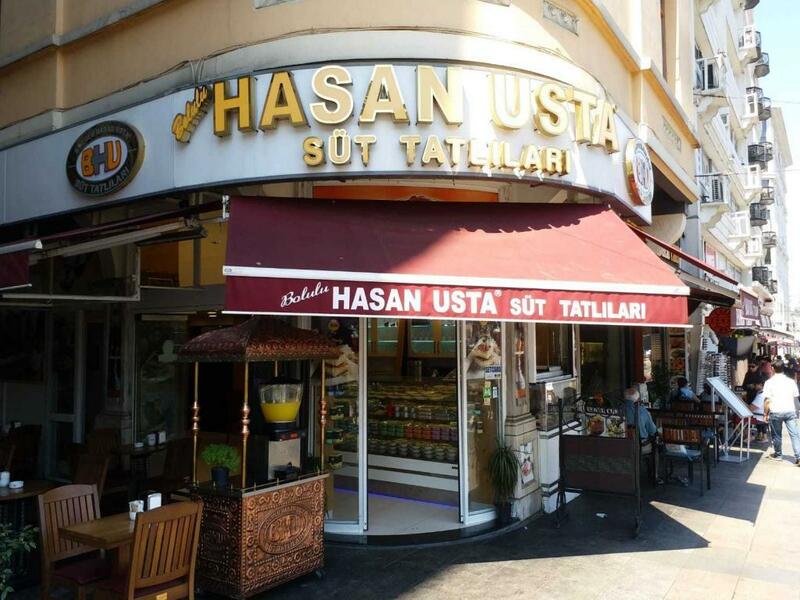 There are many branches of Bolulu Hasan Usta in Istanbul and it’s one of the most famous dessert shops in Turkey. If you want to try desserts like sutlac (rice pudding), muhallebi (custard), and kazandibi (pudding with a caramel face), you should visit Bolulu Hasan Usta at Eminonu. The pricing of the desserts is quite moderate considering the taste of its desserts. Moreover, we can even say it’s one of the cheapest shops in the Old City. Ice-cream is served on the side of milk desserts at Bolulu Hasan Usta. If you visit this shop, you should definitely try kazandibi. Taksim Sutis is one of the popular Turkish dessert places in Istanbul. It’s a shop where light dessert lovers come often. Moreover, it won’t be wrong to say its menu is rich. You should also keep in mind that Taksim Sutis is one of the places that serves one of the most delicious kunefah, a famous cheesy dessert from Hatay, in Istanbul. Cream is also served on the side depending on your preference. Additionally, milk desserts at Taksim Sutis are always delicious. If you like fruit desserts, you should definitely try quince dessert too. Saray Muhallebicisi is next to Istanbul’s one of the most historical monuments, Spice Bazaar. Saray Muhallebicisi is a great shop to take a break from visiting the Old City and enjoy some great desserts. 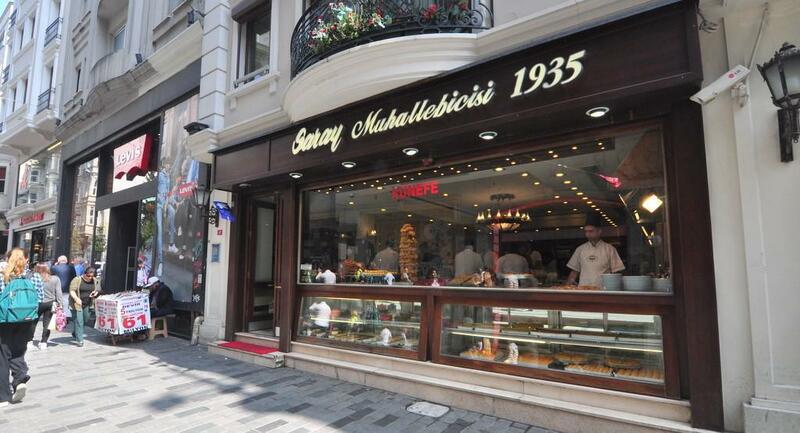 Saray Muhallebicisi was opened in 1935 and it’s one of the most popular dessert shops in Istanbul. It also has a branch on Istiklal Street. It’s one of the good options to eat both delicious Turkish dishes and desserts if you go to Istiklal Avenue. It’s one of my favorite restaurants that I visit during my tours too. It’s really hard to decide what to eat at Saray Muhallebicisi as its menu is rich both in terms of food and desserts. As its name also suggests, its milk desserts stand out. However, desserts made of sorbet and chocolate éclair are also delicious at Saray Muhallebicisi. If you like traditional Turkish desserts, you should definitely add Baklavaci Ali Usta in Sirkeci to your list. Although the name suggests it’s a baklava shop, its kadayif (sweet and crispy phyllo dough) is equally delicious at Baklavaci Ali Usta. Especially, its milk kadayif is a great choice in the summer months. If you are not worried about how many calories your dessert contains, you can also try rolled kadayif with walnuts at Baklavaci Ali Usta too. Where to Eat the Best Baklava in Istanbul? Cigdem Pastanesi is located in Sultanahmet area and it’s one of the popular places among the tourists who visit the area. Its menu boasts both traditional Turkish desserts and cakes. We can easily say everyone that visits Cigdem Pastanesi is satisfied with the service and the quality of its desserts. I especially suggest you try its pistachio baklava at Cigdem Pastanesi. Moreover, pudding and cakes at this shop are amazing too. 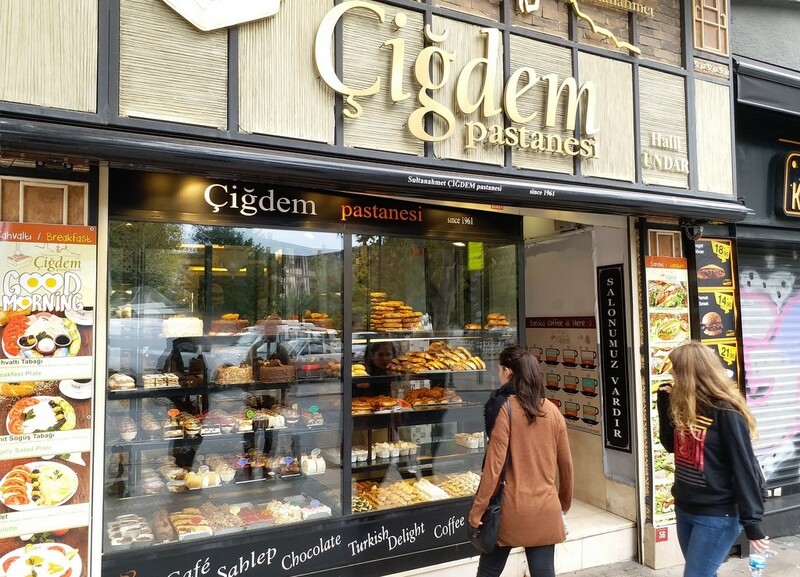 Although Cigdem Pastanesi is located in one of the most touristic spots in Istanbul, its price range is relatively cheap. After visiting the historical monuments in the Sultanahmet area, you should definitely visit Cigdem Pastanesi and try its delicious Turkish desserts. Divan Pastanesi is among one of the best patisseries in Istanbul and it offers a rich dessert menu. Despite standing out with its chocolate and Turkish delight, we should also note that cakes at Divan Pastanesi are also delicious. Although you may not be a big fan of cake, you should visit Divan Pastanesi anyway. It’s because you will definitely find a dessert to your taste in this shop. Additionally, spicy tart and profiterole at Divan Pastanesi are worth trying too. Koska is a well-known brand that is mostly known for its halva. However, in addition to halva options at its Beyoglu branch, you can try its various desserts too. When you visit Koska, you will surely feel like in a dessert museum. If you are fond of Turkish delight, Koska is the right place for you. There are 36 different types of Turkish delight in Koska’s menu. Moreover, traditional Turkish desserts like cezerye are also delicious at Koska. However, you must definitely try halva if you visit Koska. Where to Eat the Best Turkish Delight in Istanbul? 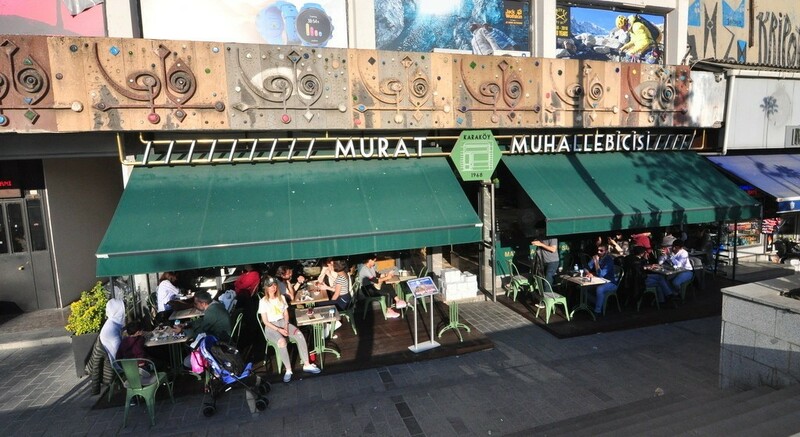 Murat Muhallebicisi is one of the most popular dessert chain shops in Turkey. In this shop, milk desserts stand out. Desserts such as sutlac, kazandibi, and white pudding are served with ice-cream or nut on the side depending on your choice. Apart from milk desserts, pastry and cakes are highly delicious too. Especially, I strongly recommend you to try quince dessert served with cream and wet cake at Murat Muhallebicisi. There are many other delicious desserts in Murat Muhallebici’s rich menu and they are fairly priced. While you visit Karakoy, the rising star of Istanbul in recent years, you are suggested to take a break at Istanbul’s one of the most famous dessert shops, Murat Muhallebicisi. You won’t regret it at all. 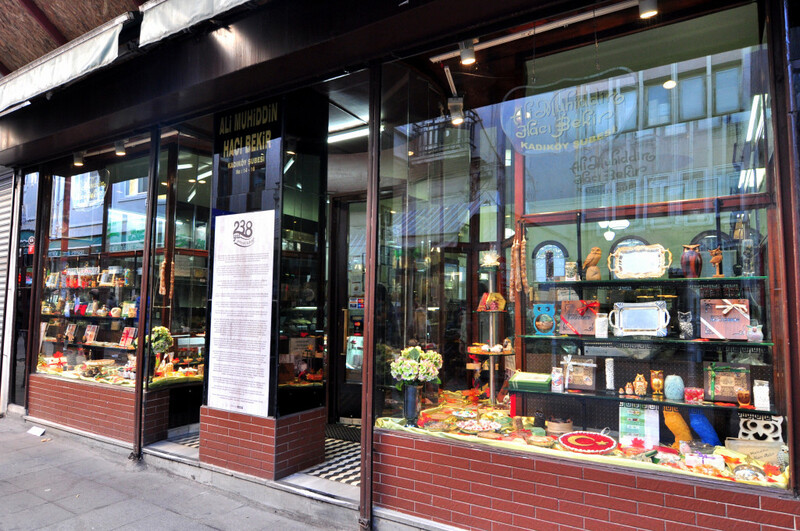 Inci Pastanesi is one of the oldest dessert shops in Istanbul. A few years ago, it had to be relocated from the building it served since the 1950s. However, its new location still reflects the quality and the great taste of its desserts. Inci Pastanesi is famous for its profiterole. I can guarantee you that you can’t eat such delicious profiterole anywhere else. Moreover, éclair here is so delicious too. 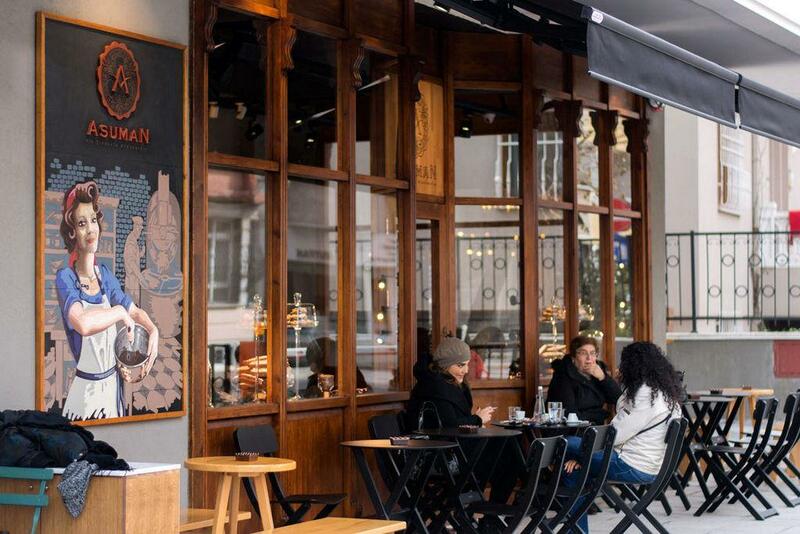 Inci Pastanesi is on Istiklal Avenue and I highly recommend you to visit it. 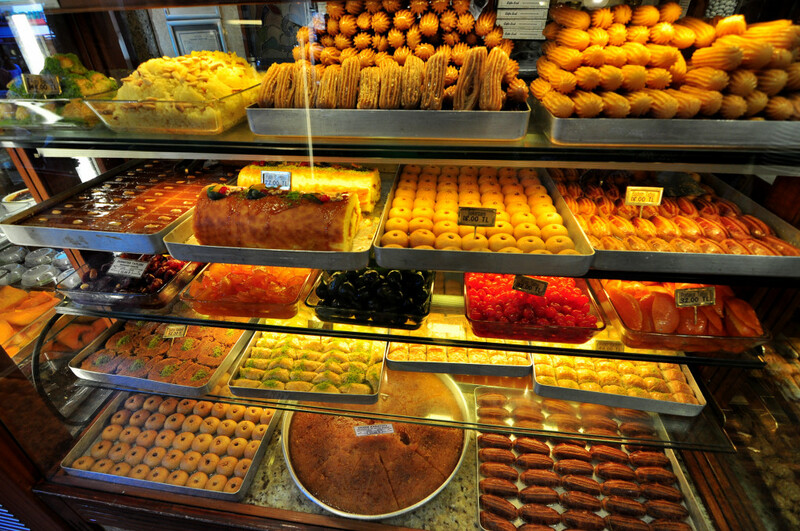 Baylan Pastanesi is located in Kadikoy and it has become a classical place in Kadikoy in recent years. 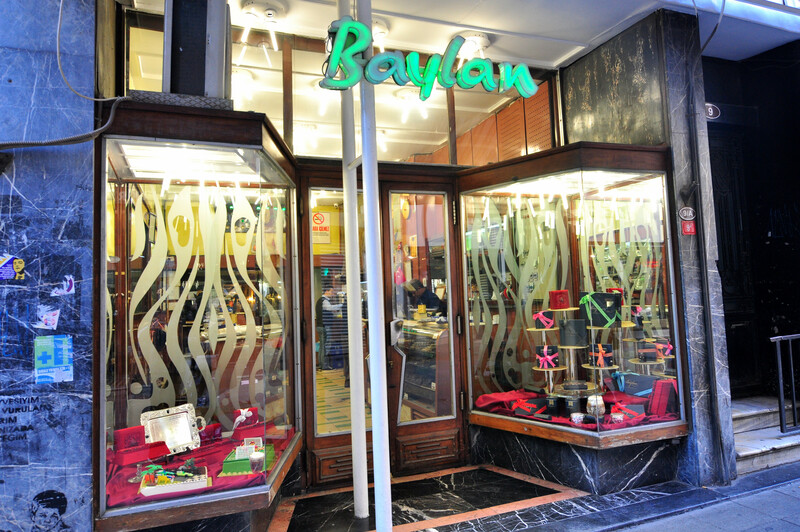 Baylan has been in service in the same building for 87 years and it is a popular place among the locals with its numerous delicious desserts. Although it has another branch in Bebek, you should visit its Kadikoy branch to experience a classical patisserie atmosphere. The biggest difference between Baylan Pastanesi and the others is that its chocolate is handmade. The chocolate here is produced by processing cacao plant and it tastes just delicious. If you happen to visit Baylan, you should try hot chocolate here. I doubt you can find more delicious hot chocolate elsewhere. Asuman is known for its unique desserts and it’s been one of the popular spots in Moda since it was first opened. The name of the shop derives from a famous dessert named “Asuman”. The worst thing about Asuman is that there is a queue almost every day here. Therefore, except for early hours, it’s a highly busy place. However, you should definitely visit it for its delicious desserts. On the other hand, it’s not really a bad thing to wait in a queue here, because if it’s a winter time, the shop offers treats to the ones waiting in a queue. It can be said Asuman is one of the unique places not only for its desserts but also the sincere attitude of the staff. Sekerci Cafer Erol is located in the center of Kadikoy and it’s a 200 years old business. Its branch in Kadikoy was opened in 1945 and it’s maintained its high quality over the years. You will most probably hesitate over what to choose here because everything here, be it hard candy, milk desserts or cakes are really delicious. Also, even though it’s not widely known, Sekerci Cafer Erol is one of the places where you can eat great ice cream in the neighborhood too. One of the features that make this shop different is that its desserts are light. It doesn’t feel too sweet and strong. You are also highly recommended to try chestnut cup dessert here. The name “Haci Bekir” comes to everyone’s mind when it comes to Turkish delight. There are tons of places in Istanbul where you can eat delicious Turkish delight, but Ali Muhiddin Haci Bekir in Kadikoy is an old establishment identified with Turkish dessert. It won’t be wrong to say Turkish delight here tastes a lot better than many other shops. There are a lot of different Turkish delight options at Ali Muhiddin Haci Bekir and although all of them taste great, you should definitely try coconut and rose Turkish delight here. Ali Muhiddin Hacibekir has three branches in Istanbul. 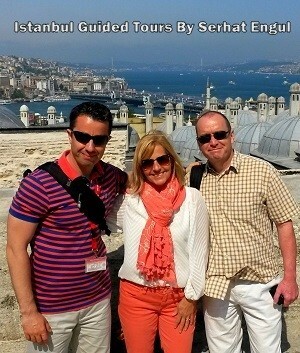 They are at Istiklal Avenue, Eminonu, and Kadikoy.